Placements have been finalized for the MSTAR training sites at UCLA, UCSF, and UW. We are no longer accepting applications for the 2019 MSTAR program. 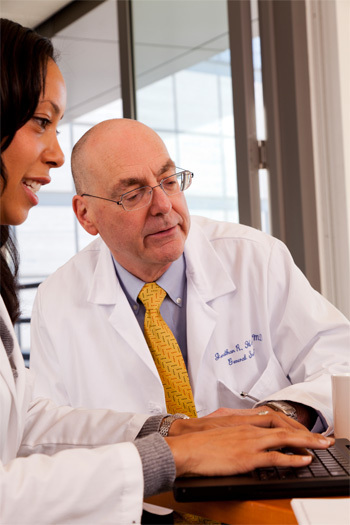 The MSTAR program provides medical students short-term research training in aging and geriatrics with successful mentors in the field, with the goal of encouraging medical students to consider careers as physician scientists in aging research. Since 1989, more than 300 medical students have participated in this program and its precursor, the Medical Student Geriatric Scholars Program. Each year, students present their research at local and national meetings. Many students have won awards at these meetings and many have published their work in medical journals. Interested students should contact the program administrator at uclamstar@mednet.ucla.edu for the application form. Applications for the UCLA, UCSF, and UW sites must be sent directly to UCLA. Each student will have a structured research experience. Students will conduct research with a mentor who will assist them in completing a project that can be accomplished in an 8 to 12-week period. At the conclusion of the summer, students will present their research at their site and also write a research abstract. Students are strongly encouraged to present their work at national meetings including the American Geriatrics Society Annual Meeting. Students participate in a variety of clinical training experiences with older adults. These include experiences at outpatient, inpatient, nursing home and other sites. Students are encouraged to network with faculty, research staff and each other to promote common interests in aging. MSTAR alumni attending the AGS Annual Meeting are invited to a yearly dinner. Students are also encouraged to maintain contact with the program, their mentors and fellow MSTAR students after program completion. A program director meets with students weekly to check in and make sure their project is progressing and their mentor is providing sufficient support. Students will be asked to complete evaluations of the weekly seminars they attend. At the end of the summer, site directors meet individually with students to elicit their opinions about all aspects of the program. We use this information to modify and improve our program continuously. Each year, program awards are given to deserving mentors. Awards are issued for best research mentor and best clinical mentor. Some MSTAR students win additional awards for their research at the American Geriatrics Society Annual Meeting and other local and national meetings.